Blogmas 2017 Day 10: Top Tips For Christmas On A Budget! B&M is your best friend! They often sell the exact same things as other shops but for a few quid cheaper, and a few quid quickly adds up to a lot where presents are involved! They sell some fab brands (such as yankee candle, Vera Wang and Nivea) and also do a 2 for £20 offer on toys, perfect for the kids of the family! There’s also home bargains, pound land, and many more; be sure to shop around this Christmas and save yourself some pennies! This might sound obvious, but stay with me here. Offers aren’t always offers, sometimes they’re a marketing ploy. Argos is a big offender for this with their 3 for 2 offer… You do get 3 items for the price of 2, but this can often cost you a little more as they increase their prices before the offer starts! Similarly, Boots’ ‘star gift’ ranges are planned with the prices of the items in mind. 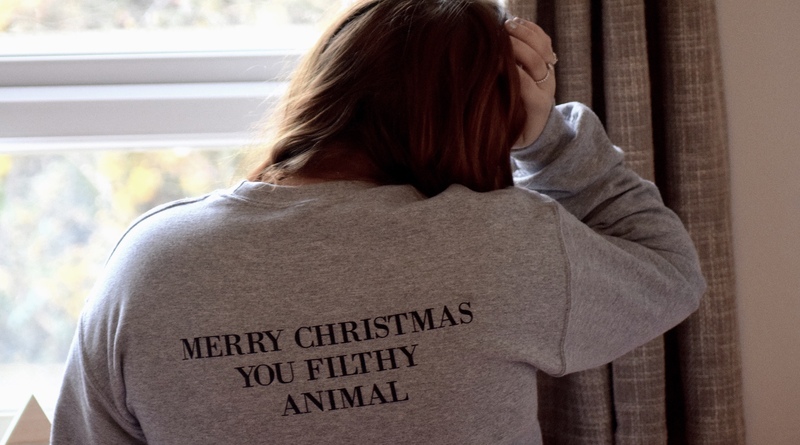 So, whilst you may think that you can get this item for 50% off for one week only as it’s a star gift, it will often only be worth the star gift price, or maybe even less (*cough* Zoella Advent Calendar *cough*). Sneaky little tricks like this can actually result in you paying more so be smart about what you buy, and when! Aldi doesn’t have the best shelf life when it comes to their veg, I’ll give you that. But, it is the cheapest place for those Brussels by far! And, when you’re cooking up a Christmas feast, you don’t really need your veg to last very long, so keep them in mind for your spuds for roasting! (Their own brand gravy is also veeeery inexpensive and tastes incredible, I can vouch for that). Local produce can also be found on local markets etc, and often they are cheaper than the supermarkets, and you get to help out a local business, win win! For a price of £15 a month, complete savings is a complete saviour if you do your Christmas shopping online! £15 may seem a little steep, but if you do all of your shopping at once, you will only have to pay for one month, and you can cancel your subscription after this period. You get a minimum of 10% cash back on purchases from a range of online retailers including asos, Debenhams, eBay and look fantastic! It’s definitely worth the £15 if you’re doing the majority of your Christmas shopping online. I always think that personalisation makes any gift magical. Thoughtful gifts are definitely the way forward, and they can save you some money too! I see so many sweet/food/biscuit hampers on sites such as Not On The Highstreet, but why pay so much for these when you could create them yourself?! Source some baskets from places such as Amazon, and get creative with your loved one’s favourite things! I, personally, like to bake some cookies and cakes and do a little basket full of home made goodness! (I used to make gifts like this all of the time when I was younger as my mum ran a little business doing such things, and they really do make people smile!). What tips do you swear by for saving money at Christmas time?! Let me know in the comments! I’ve never heard of Complete Savings before but what a fantastic idea! I wish I hadn’t done so much of my shopping already otherwise I’d be straight over to register! Making things is such a personal way of gifting and really shows the thought you’ve put in! Previous Post Blogmas 2017 Day 9: Christmas 2017 Bucket List! Next Post Blogmas 2017 Day 11: The best (un)official Christmas films!